Outside the retreat is as exciting as the inside! Outside you’ll find a 40,000 gallon rock landscaped natural shaped pool, with creek/waterfall coming into it, and a jacuzzi. Around the pool are a myriad of lounge chairs and tables, complete with solar powered lanterns that give a warm glow at twilight. 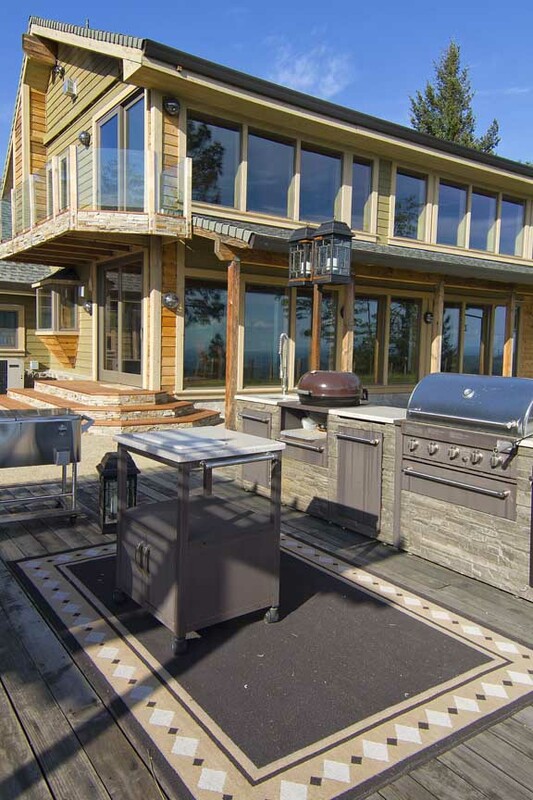 Next to the pool is an outdoor stone accented BBQ island with faucet, counters, refrigerator and a view found nowhere else on Earth! 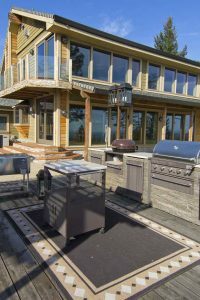 This is the place to have a BBQ! There is enough stone tables and seating to comfortably seat 16 for dining. 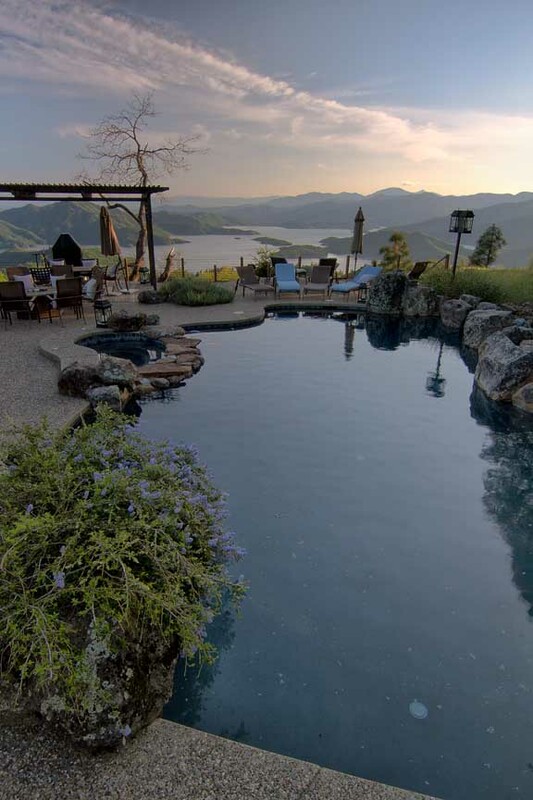 Sit around the stone fire-pit and enjoy one of the best star gazing sites in all of California. Or, take a stroll on the 1.5 mile private hiking trail that circumnavigates the mountain top! View the lake on 3 sides of us, watch the Bald Eagles, deer, or other wild life and take in the beauty of this Northern California! Shasta Lake has the largest population of Bald Eagles in the entire state.